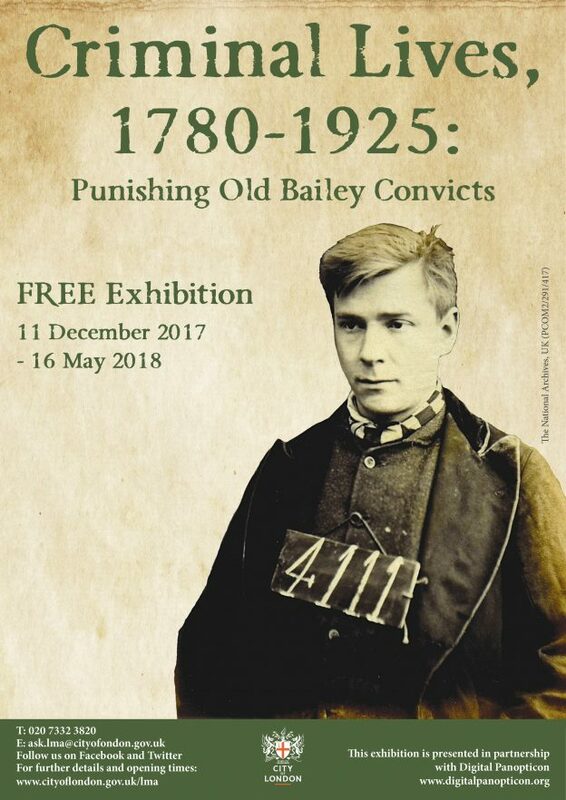 The exhibition Criminal Lives, 1780-1925: Punishing Old Bailey Convicts is based on research by historians at the University of Sheffield and partner universities that has traced the lives of British convicts from the 18th and 19th centuries. Produced by the Arts and Humanities Research Council Digital Panopticon project in partnership with the London Metropolitan Archives (LMA), the exhibition combines original Victorian photographs, documents and prints from the city’s archives with convict life stories uncovered by the Digital Panopticon project. It also includes items such as a Victorian policeman’s truncheon, a reproduction Millbank Prison uniform and convicts’ photographs drawn from collections in Britain and Australia. Criminal Lives, 1780-1925: Punishing Old Bailey Convicts opens in December 2017 at the London Metropolitan Archives (LMA) and will be on display until 16 May 2018. For visitor information, see here. The Digital Panopticon project’s website, which enables users to trace the lives of British convicts imprisoned or transported to Australia, features on a new second year module for history students at the University of Sheffield. This entry was posted in News and tagged Bob Shoemaker, Criminal Lives, Old Bailey Convicts, The Digital Panopticon Project on December 21, 2017 by Alice Johnstone.